Recumbent bikes are designed so you sit lower to the ground with your legs out in front of you rather than sitting up with your legs below you. Working out on a stationary recumbent bike or riding a recumbent bicycle on the road have similar health benefits as regular bicycles. 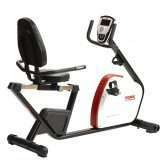 They provide cardiovascular exercise, help you watch your weight and increase your strength. 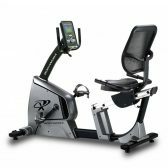 Recumbent bikes also have the additional benefits of better safety and more comfort, and they put less stress on your knees and hips. 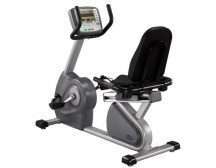 Recumbent bikes are safer than upright bikes due to a larger seat, back support and lower height. 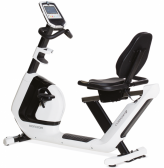 According to the article in “Clinical Biomechamics,” the use of a recumbent bike provides advantages for muscle and cardiovascular training in patient groups with impaired mobility. The larger seat, back rest and semireclining position is more comfortable than a traditional small bike seat with an upright posture. 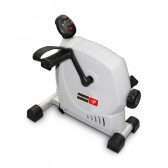 Recumbent bikes put less stress on the knee and hip, so it may be beneficial for people with arthritis. According to an article on WebMD, recumbent bikes extend the angle of the knee joint so that the knee and hip aren’t flexing so much with each rotation. 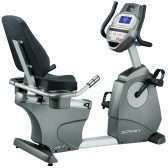 This means that a recumbent bike might cause less hip and knee pain than a traditional bike. Call in to try out our extensive range in a no pressure environment, our friendly staff will assist in finding the perfect machine for you as they all have different features.